Amy and Tripp Shewmake met in Knoxville during their college years. A mutual friend introduced them at a gathering. 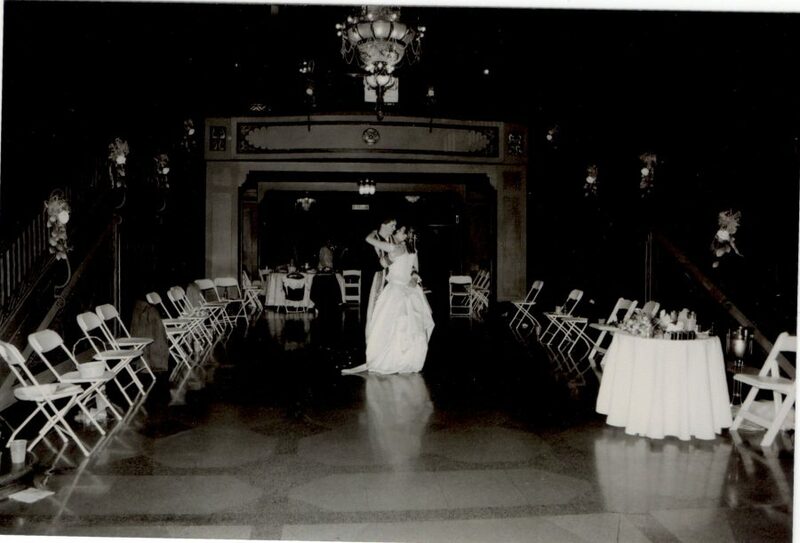 When they were picking a wedding venue, they wanted a place to fit their Victorian themed wedding and Amy’s mother mentioned the Tennessee Theatre. The romance and beauty of the theatre inspired them, and they deemed it the perfect place. Amy came to love theatre at an early age, and she obtained a degree in Theatre from the University of Tennessee Chattanooga. Upon graduating and returning to Knoxville, she worked at UT’s Clarence Brown Theatre. 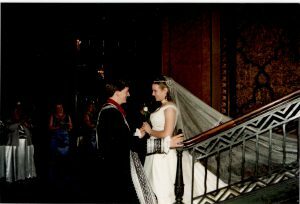 Amy and Tripp were married on July 6, 2002. It was the first time they had ever visited the theatre together. 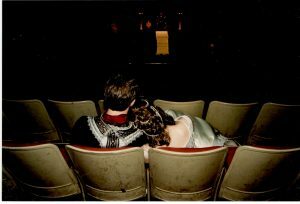 They had been separately before, but the night before their wedding was their first time in the Theatre as a couple. There are a few moments from their wedding that they remember most. 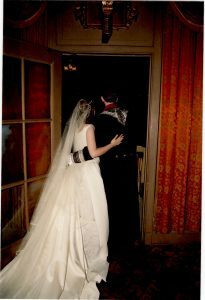 They had photos taken during the day, and to keep coming down the aisle a special moment, Amy descended the grand staircase where Tripp awaited her with a single rose during the photoshoot. She added that rose to her bouquet for the ceremony that evening. Upon exiting their ceremony, they went to the balcony where they watched the processional. The “Tennessee Waltz” is a signature song of the Tennessee Theatre as it is the final song played during Mighty Wurlitzer organ performances. Amy and Tripp wanted to honor that tradition, so they selected the song for the final dance and last song of the evening. Tripp and Amy watch their wedding processional from the balcony. Weddings often have a memorable, funny moment and Amy and Tripp’s was no exception. On Amy’s way to the stage, her veil got caught on the stairs and she could not move. She remembers the look on Tripp’s face and thinking he was afraid she had changed her mind as she stood frozen on the stairs. Her father realized her veil was hung and came to her rescue. Amy and Tripp are regular patrons of the theatre. One of their favorite memories is attending the 10th Anniversary Celebration of the Grand Re-Opening in January 2015. They were proud of the restoration and preserved beauty of the Theatre. At the event, they were able to walk onto the stage which was a sweet reminder of their wedding day. They make a point to visit the Theatre each year for their anniversary. This July, they will celebrate by attending the Book of Mormon, complete with the Spotlight Club experience.